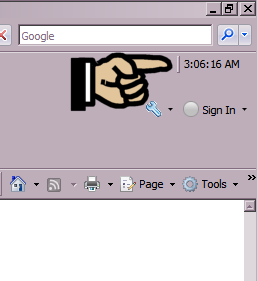 GoogolBar is my idea of a replacement for the Google Toolbar for Windows. It does not contain anything questionable, unethical, shady, sneaky, privacy invading, etc. Deskbar for searching the DonationCoder forum. 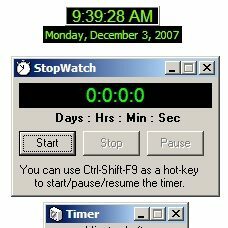 This is a deskbar/IE Toolbar that will display the current date & time on an extra toobar you have on your desktop, in IE (time only), and in Explorer windows (time only). 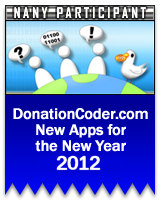 A fun screensaver featuring Cody, the mascot of DonationCoder. Launch multiple applications with a single click. Simple ToDo list creator with the ability to easily recycle lists. Keyboard shortcuts to open any drive letter in Explorer. PesterMe allows you to create your own repeating nag message, that will popup as frequently as you want. Opens a file after a specified length of user idle time. Work/break cycle timer for increasing productivity and preventing repetitive stress injuries. 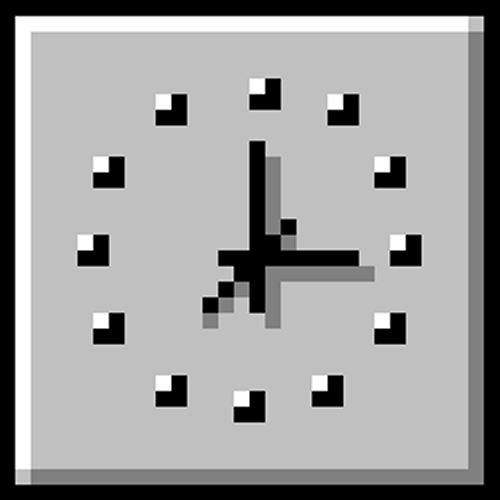 DClock 2 is a desktop clock that is small enough to fit over the titlebar of an open window and will always stay on top. A plain text list builder and alphabetizer. Removes the clock from your taskbar notification area...and puts it back. A small lightweight IE based browser, that is totally lacking in features. Great tool! I put Lacuna Launcher in my startup list to delay the start of a batch of programs. This is very useful to speed-up startup as programs don’t wrestle each other for resources. It works with no problems. Brilliant!